Thank you to those who recently attended my workshop. On this page, you should find all the remaining documents you need. They are all PDF's! Also check back soon. I will be uploading pictures of student samples for you to share or refer to. Ancient Greece - Lessons Before a Project. Here are my favourite websites. If you have a favourite you'd like to share with me, please Contact Me and let me know! Myth Web is my go to destination for mythology. I always do something with its retelling of Hercules and the his 12 labours. Love, Love, Love the BBC for kids as well. A lot of great ideas for teachers as well. If I have time to do Rome, I always use the BBC to help! Mr. Dowling has great easy to read information. The British Museum is always reliable. I love the set up of each section Story, Explore, Challenge. The Real Story of the Ancient Olympic Games - Great site for excellent information about the history of the Olympics. History 4 Kids is good. You have to jump around a lot and deal with ads, but the information is reliable and easy to read. 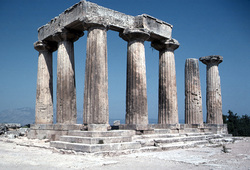 Social Studies for Kids - Ancient Greece - Great site, well organized, easy to read material on a variety of topics. This information on Alexander the Great is, well, Great! "Ducksters" This is a newer site that has easy to read information. Everything I have read on this site so far seems accurate and reliable. Like all things in ancient History on every site, the dates vary from some other sites.